Nash de Klerk claimed the Bridge Fund Managers Junior Series title at the Wanderers Golf Club on Sunday, 4 November 2018. He chipped in for a birdie to see off the challenge of his good friend and interprovincial teammate, Rorisang Nkosi. Both among South Africa’s brightest young golfing talents, they shot matching 68s and then produced a thrilling four-hole playoff. 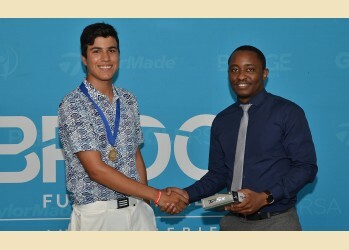 By claiming the title, De Klerk, a member of the GolfRSA National Squad, qualifies for the regional final of the 18-event #BridgeJuniorSeries in April 2019. The ultimate prize is an all-expenses-paid trip to compete in the prestigious Junior North and South Championship at Pinehurst, USA. 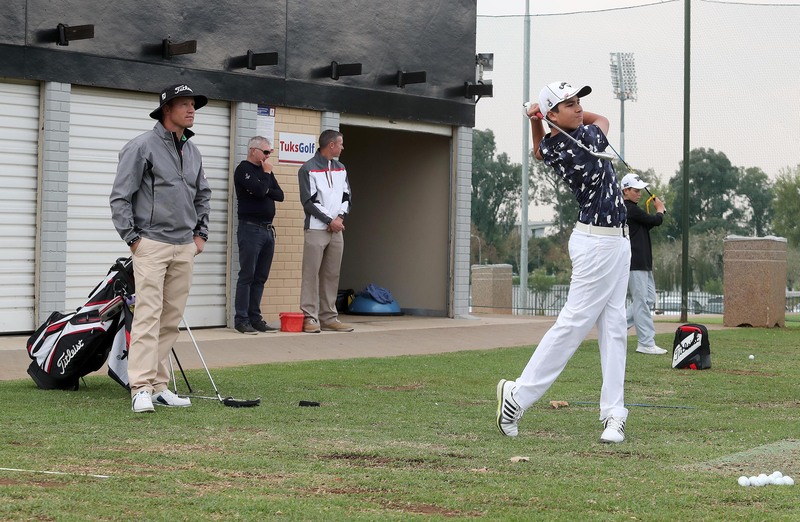 The 14-year-old De Klerk and 13-year-old Nkosi are ranked in the Top 5 of the country’s u.15 golfers, both are members of Pecanwood Golf and Country Club and they are teammates in the North West junior interprovincial team. His short game is clearly one of De Klerk’s strengths. Not only did he chip in twice on the same hole, but he also holed a bunker shot and sank a long putt for an eagle on the 10th to get his second nine off to a hot start. ‘That was a really nice eagle. It is a downhill par 5, decently long at around 500 m. I crushed my driveway down there and then I flushed a 4-iron about 220 m to about 20 feet from the hole and made the putt,’ he said. When the golfing gods inevitably turn mean, De Klerk recalls words of wisdom from his father. ‘My dad once told me that the golf course doesn’t owe you anything. So I handle the good and the bad breaks the same way,’ he said. De Klerk, who lives close to the Copperleaf Golf Estate in Centurion, practises at Pretoria University’s High Performance Centre and Pecanwood. His short-term goal is to make the SA team compete in the Italian International u.16 Championship in 2019. His longer-term aim is to qualify for the US Amateur, rather than turning professional at too young an age. If De Klerk wins the regional final of the Bridge Junior Series in April 2019, he will get to walk in the footsteps of golfers playing the US Amateur. Pinehurst will also host that high-profile event in 2019. ‘It is very exciting and I will do my best to win,’ he said. The Bridge Fund Managers Junior Series is geared at golf development. It started in July 2017 with 18 tournaments countrywide featuring u.19 and u.13 divisions for boys and girls. GolfRSA endorses the series and Peter Little of the South African Golf Development Board (SAGDB) manages it. ‘Nash and Rorisang produced excellent golf on a very challenging course,’ said Paul Stewart, the executive director at Bridge Fund Managers. ‘Unfortunately, Rorisang did not walk away with the title this time but he doesn’t have to wait too long for another opportunity to qualify for the regional finals.